Turn community vision into community planning; Balance infrastructure growth with sustainable long-term management and funding; Project planning across multiple landowners and land managers. Communicate outdoor recreation and conservation needs to local, state and federal elected officials; Mechanics of money circulating back to recreation maintenance. Increase understanding of the economic value of open spaces and outdoor recreation; Help communities in transition create a vision and action plan for sustainable expansion of their tourism economy; Entrepreneur support and integration of sustainable practices into business plans (conservation & community). Expect two days of networking, panels, dynamic guest speakers, film festival and celebration of the 50th Anniversary of Wild and Scenic Rivers Act and National Trails Systems, along with the kick off of the National Parks Conservation Association Centennial. Outdoor recreation is an economic driver and integral to the economic diversity and wellbeing of communities in the State of Montana and greater transboundary Crown of the Continent region including Alberta and British Columbia. Knowing now that outdoor recreation is 2% of US GDP and is growing at almost twice the rate of the US economy as a whole, it is important that we take an in-depth look at maximizing this segment of our economies potential while addressing population growth and user pressure. Outdoor recreation, especially on our public lands, is the foundation of our lifestyle, offering opportunity for quality of life that is unsurpassed, thus making our communities attractive places to live, do business, and visit. 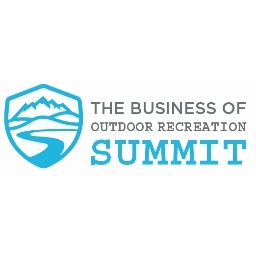 2018 Business of Outdoor Recreation Summit is SOLD OUT! Capacity is 250 registrants. If you were given a registration code you will be able to register for the spots we're holding for you till Nov. 27th. You will need to contact info@crownofthecontinent.net for password to access registration. We are thrilled to bring you a diverse lineup of keynotes, guest speakers and panelists for this year's Summit. Check out the speakers page often to see who has joinied the lineup as we add speakers and biographies over the next couple of weeks. Thanks to the support of generous sponsors (2) $5,000 checks have been earmarked to be awarded to conservation/recreation groups that have on the ground projects. Six selected groups will be spotlighted during the Summit and have an opportunity to win, per attendee voting, $5,000 to put towards their project. Click HERE for more information! Applications must be received by 11:59 pm on November 8, 2018. UPDATE: There were 28 incredible Summit Award proposals received! The six Semi-finalists have been notified. If any are not able to attend Summit to represent their organization we will reach out to the next ranked proposal. Public is invited to join over 250 Business of Outdoor Recreation Summit attendees for a special Fireside Chat & Film Festival evening at Whitefish Performing Arts Center, in Downtown Whitefish, MT December 5, 2018 @ 7:00PM. We'll be celebrating the evening with National Parks Conservation Association's Hayley Mortimer and Michael Jamison and Patagonia's Lisa Pike, along with several additional special guest speakers. Evening includes kicking-off NPCA's Centennial, sitting fireside with Patagonia, four captivating films and the awarding of our final $5,000 Summit Award. Ryan Thompson of The Fly Fishing Film Tour will be emceeing the evening, so you know it's going to be a good one. Your ticket enters you in a drawing for several amazing giveaways thanks to our generous Summit sponsors and exhibitors, so claim your ticket and come celebrate the great outdoors with us! Tickets are $10 (CASH) with limited quantity available thru Dec. 2, 2018 @ Sportsman & Ski Haus- Kalispell & Whitefish locations. There is no guarantee we'll have tickets available day of event. Many thanks to our incredible line-up of sponsors who understand the importance and value of bringing diverse stakeholders to the table to discuss the future of outdoor recreation, in the region. Interested in an opportunity to sponsor this event? Click HERE to learn more. Interested in having a booth at this year's Summit? We are sold out, but encourage you to bring information you'd like to share when you attend panel sessions. Contact Sheena Pate (sheena@crownofthecontinent.net) for more information. Grouse Mountain Lodge is the exclusive summit venue and lodging and will offer attendees special room rates starting at $89.00 USD plus tax per night. (When booking reference “The Business of Outdoor Recreation Summit” to receive special rate). Call Grouse Mountain Lodge to book room (406) 862-3000. Have questions about Summit? Need another copy of your registration receipt? Contact info@crownofthecontinent.net for more information.